Can you read this partially erased word? You have a high IQ!! Wow!! You clearly have an extremely high IQ and an exceptional eye for detail!! It's not easy to use your brain to continue the formation of words but your adaption to this task is impressive! Only a small percentage of people have the ability to do this! Your IQ is not high enough! Oh no! Your IQ is clearly not high enough. Your brain wasn't able to process the completion of these words! But not to worry!! With a bit of practice you will be an expert in no time! Take the quiz again once you have practiced and see if you have improved...we have faith in you! Go get 'em!! Only 10% Can Nail This Visual Closure Test! 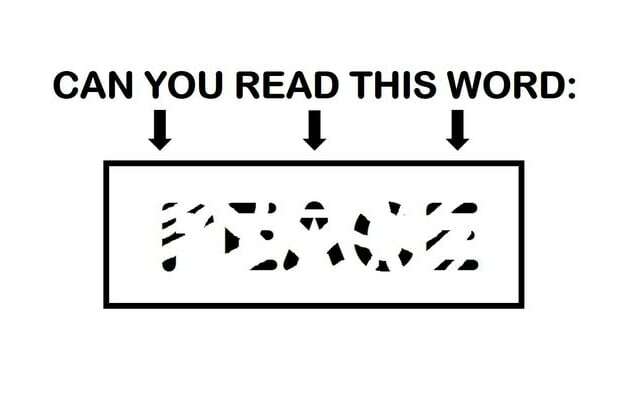 Find out now if your IQ is high enough to pass this test.